I’ve always wanted to be known for having a signature dish among family; some sort of entrée or dessert that during holidays or special occasions people would say, “Oh, I hope she brings her lasagna!” or “… her famous blueberry cheesecake!” Well, my lasagna’s pretty good, but that’s thanks to the Better Homes and Gardens cookbook, and at this point, I haven’t attempted my own blueberry cheesecake recipe. But, it finally happened, just on a smaller and simpler scale than an entrée or dessert. Guacamole. I brought The Guac to a family get-together one day. Gone in minutes. Then came requests for me to bring it for a variety of occasions: birthdays, Thanksgiving snacking, any reason we’re all under one roof. 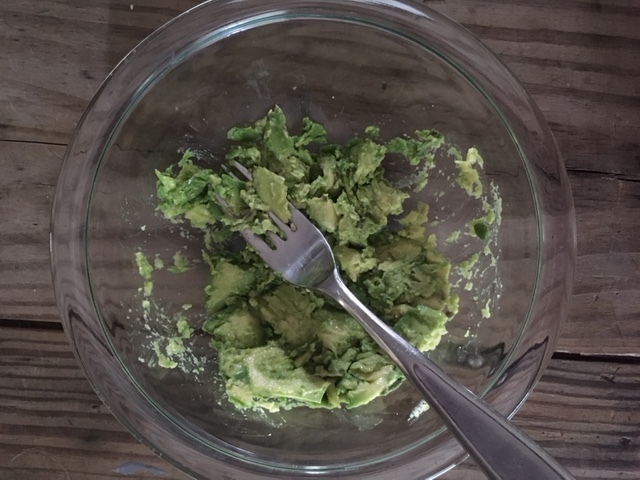 I showed up one day without avocados (they weren’t ripe enough in time!) and it was as though I’d left a member of the family behind. “Where’s Guac? Why couldn’t Guac make it? But, Guac is always here. I even brought chips! 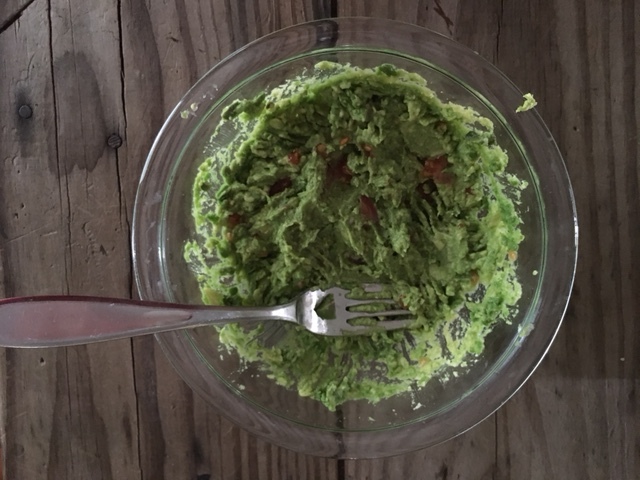 I miss Guac.” And this isn’t me complaining — this is how I realized that even though I wouldn’t call it a Signature Dish, I had a Signature Something. I usually try to buy avocados three days in advance of a family gathering, so that they’re ripe enough to smash into this delectable dip. If you don’t have a traditional molcajete, you can use a mixing bowl and a fork. Don’t add salt; chips are salty enough and the Adobo will add more flavor. 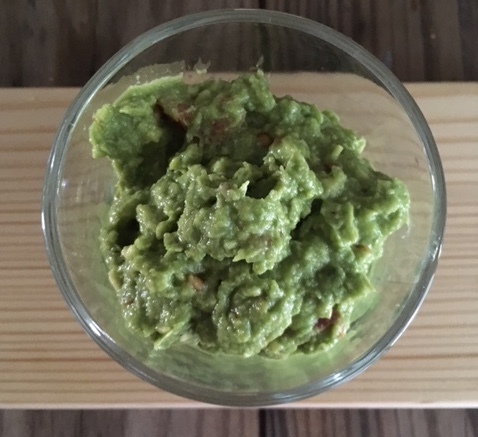 If your guacamole starts to turn brownish halfway through a party, scoop off the top layer for a fresher look. Large dice half of the tomato, set aside. Roll the lime with your hand on the countertop back and forth a few times. Give it a little muscle; this breaks up the fruit so that when you cut it, it’s juicier. Slice lime in half, set aside. 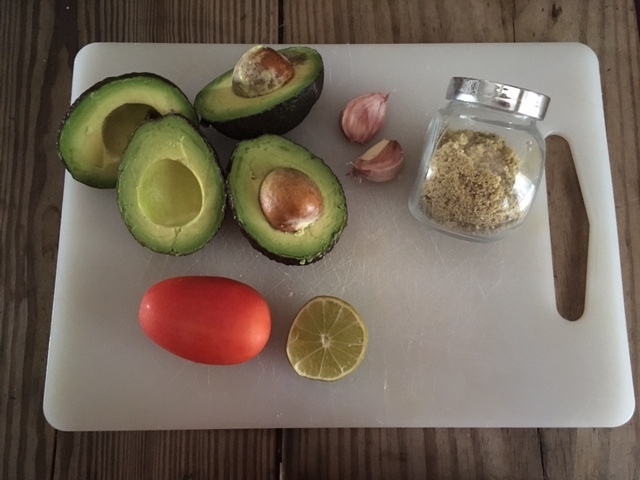 Halve the first avocado, remove pit. Take one half, slice a few vertical and horizontal lines so that when you scoop, it’ll come out as small chunks that are easier to mash. Repeat with the second half: slice, scoop, mash. 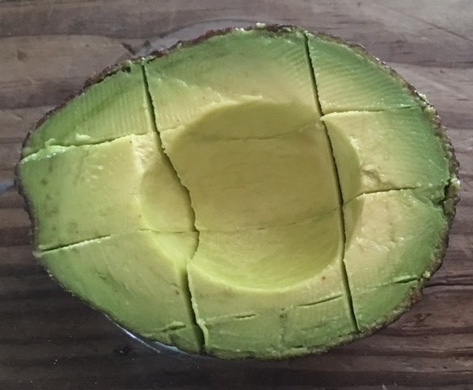 Halve the second avocado, remove pit. Squeeze the juice of half a lime and mix. Add half the Adobo little by little and mix. Taste test. If it needs more flavor, add the other half of the adobo or a little more lime juice slowly while stirring. Last, once the flavor is to your liking, whip it! If you’re using a fork and bowl, whip to fluff it up a bit. In a molcajete, stir lightly with the pestle. Place in serving dish or serve out of its vessel.